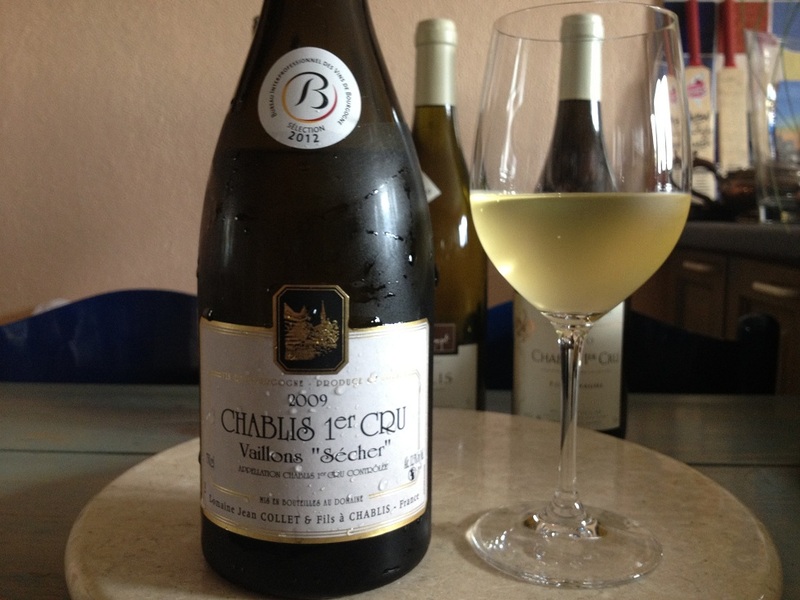 From Domaine Collet et fils comes this interesting Chablis, 1er Cru Vaillons “Sécher”. 2009 RRP £21. Wowzers, I thought Chablis was supposed to be steely, flinty, dry and crisp. This is smooth and buttery honey albeit with an appealing apple sourness. The normally reliable Wine Searcher iPhone app couldn’t locate a British stockist but I understand it’s available from posh importer, Marc Fine Wines, living up to their claim that they service the on-trade with wines that can’t be sourced elsewhere in the UK. I hope you stumble across it at your local restaurant. If you do, it’s probably better paired with cheese or chicken than shellfish. Les bourgognes recommend drinking at 10-11 degrees, so ignore restaurant advice,and take it out of the ice bucket if it is served straight from the blast chiller. This entry was posted on Wednesday, August 15th, 2012 at 9:15 pm	and is filed under burgundy. You can follow any responses to this entry through the RSS 2.0 feed. You can leave a response, or trackback from your own site. I’m off to Aldeburgh this evening, and guess what ? – the home of Marc Fine wines. I’m not usually a Chablis drinker, St Veran, Rully ,Santenay etc offer so much more, but I shall try some with my Lobster and report back.